Curved wedges have become a familiar sight over the past few years, and whereas once upon a time they used to seem very unique and artistic, these days they’ve started to seem almost commonplace. These are by Dune, and, unlike so many shoes with this kind of heel shape, they don’t have a platform, which gives them a far more delicate feel than some of their counterparts. That feeling is further emphasised by the strappy front and metallic heels, both of which combine to produce a really stunning shoe, with a bit of a “designer” look to it. I like the black version of these, but I absolutely love the silver: they would make wonderful evening shoes, but would also come in handy for days when you want to look polished, but don’t want to sacrifice any comfort. I loved these ones! 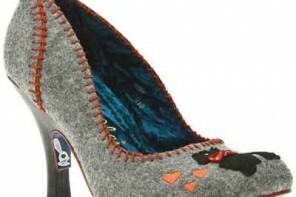 They are sweet and the heel is nice – and yes, the lack of platforms is “crucial”! I like them these way! 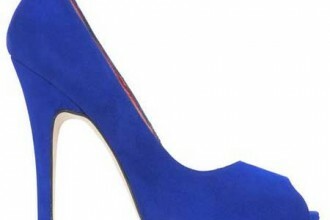 I like the shape of the heels but not the colour. I can’t put my finger on why.